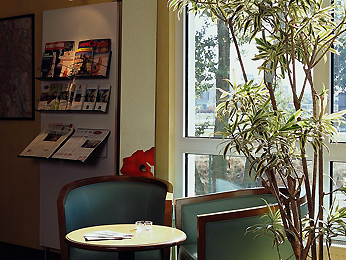 Ibis Ostrobramska is a modern two-star hotel offering comfortable accommodation in eastern Warsaw. The hotel is situated close to the National Stadium. Rooms are 160 sq. ft. Chargeable Wi-Fi is available throughout. Amenities include a satellite TV and work desk. Bathrooms feature a walk-in shower. The bistro restaurant offers regional and international dishes in a relaxed and stylish setting. Guests can enjoy a range of drinks at the 24-hour hotel bar. Chargeable parking is available onsite. Aircondition,telephone,over head projector,stationery,flipchart,Tvset,mineral water,day light access,WIFI. 6m length AND 5m width 30 M2.Coffee break (extra charge).